My girls both love a book with a good serve of humour, and there is no time like Christmas to fill the house with laughter and joy. 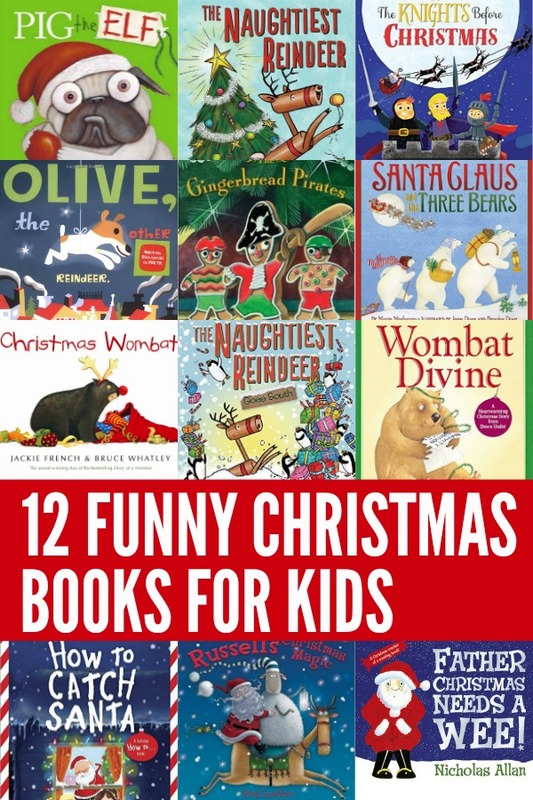 Here are our pick of the funny books for Christmas – laughing out loud guaranteed! Pig the Elf by Aaron Blabey: If you haven’t met Pig the Pug, you are missing out. This is the funniest series of picture books ever – at least according to my four and eight year olds! The latest installment tells the story of what happens when Pig stays up all night to get his presents??! The Naughtiest Reindeer by Nicki Greenberg: Rudolf is too ill to lead the sleigh and so his mischievous sister, Ruby, Will Ruby be on her best behaviour so the presents are delivered safely or will she bring chaos to Christmas?!! The Naughtiest Reindeer Goes South by Nicki Greenberg: In a new Christmas misadventure, Ruby ends up far from home, in the company of some rather grumpy penguins and with the presents scattered all around the South Pole. 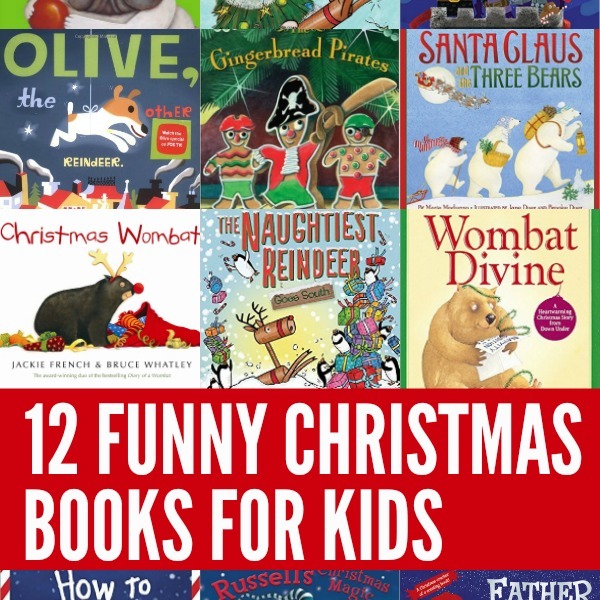 Christmas Wombat by Jackie French: We are big fans of the very funny Diary of a Wombat series and the Christmas edition has to be our absolute favourite. With wry humour the Wombat hitches a ride on Santa’s sleigh and thinks all of his Christmases have come at once. The Knights Before Christmas by Joan Holub: A fun parody of the classic Twas the Night Before Christmas poem. Olive, The Other Reindeer by Vivian Walsh: When Olive the dog hears the words to the famous festive tune, “Olive, the other reindeer,” she realises she must actually be a reindeer and she heads to the North Pole to join Santa and his crew. A Very Pirate Christmas by Timothy Knapman: Can anyone rescue Father Christmas from a band of robot pirates before Christmas is ruined??! Santa Claus and the Three Bears by Maria Modugno: A lovely twist on the classic fairy tale. When the bears leave their Christmas pudding to cool on the kitchen table to head out for a walk, they never dream of what they’ll find when they return! Russell’s Christmas Magic by Rob Scotton: A Christmas gem for fans of Russell the sheep! When Santa crashes in Firefly Wood, it is up to Russell to fix Santa’s sleigh and save Christmas! Wombat Divine by Mem Fox: Wombat Divine tells the story of the nativity to be performed by a group of fabulous Australian animals – Wombat is finally old enough to take part but struggles to find a part in the play that is just right for him. The Gingerbread Pirates by Kristin Kladstrup: When Jim’s gingerbread pirate, Captain Cookie, comes alive he prepares to battle Santa Claus (who he hears who likes to eat cookies on Christmas Eve) to save his pirate crew. How to Catch Santa by Jean Reagan: Clever tips for capturing Santa now that Christmas Eve is finally here! Father Christmas Needs a Wee by Nicholas Allan: A fun counting book exploring all of the delicious food and drinks Father Christmas enjoys as he visits each house on Christmas Eve. But before long he really needs to wee! How will he ever overcome this rather embarrassing predicament?!! It's such a fun book, Jean, thank you for stopping by!